More detail can be found using the menu to the right. Upcoming courses are posted on the Club Calendar and the listed on the Home page so why not take a look? Brixham Yacht Club have a flexible approach to training. Please contact us if the courses and dates are not suited and we will do our best to accommodate you. For any training that the club does not provide, Torbay Sea School have kindly offered a 10% discount on courses booked by individuals with a current BYC membership. 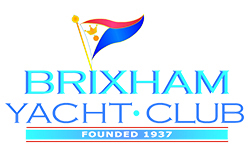 Please contact training@brixhamyachtclub.com for more information.